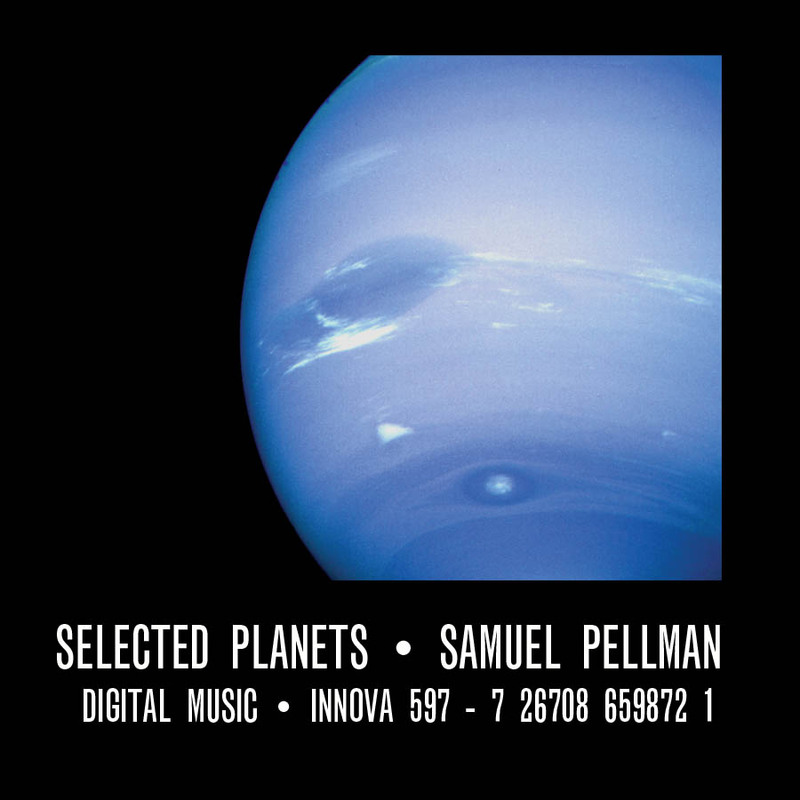 Samuel Pellman isn't the least bit afraid to tackle the big issues, as his new innova Recordings release, Selected Planets, demonstrates in great and glorious abundance. Pellman's musical tour of our Solar System utilizes an array of resources worthy of NASA itself: a number of unique and highly satisfying microtonal scales, a staggering range of compositional techniques, and an arsenal of creative weapons ranging from the latest software to venerable analog synths—all of which Pellman deploys with a masterful touch that undoubtedly would have impressed old Mr. Hubble himself. From the molten continents of Mercury to the frozen plains of Pluto, by way of Pellman's own home turf in upstate New York, Selected Planets radiates the kind of charm, depth, and beauty that should easily earn it a place alongside Francois Bayle's Erosphere, Bernard Parmegiani's La Creation Du Monde, and Morton Subotnick's Silver Apples of the Moon amidst the great works of electronic music. In other words, the real music of the spheres starts here.